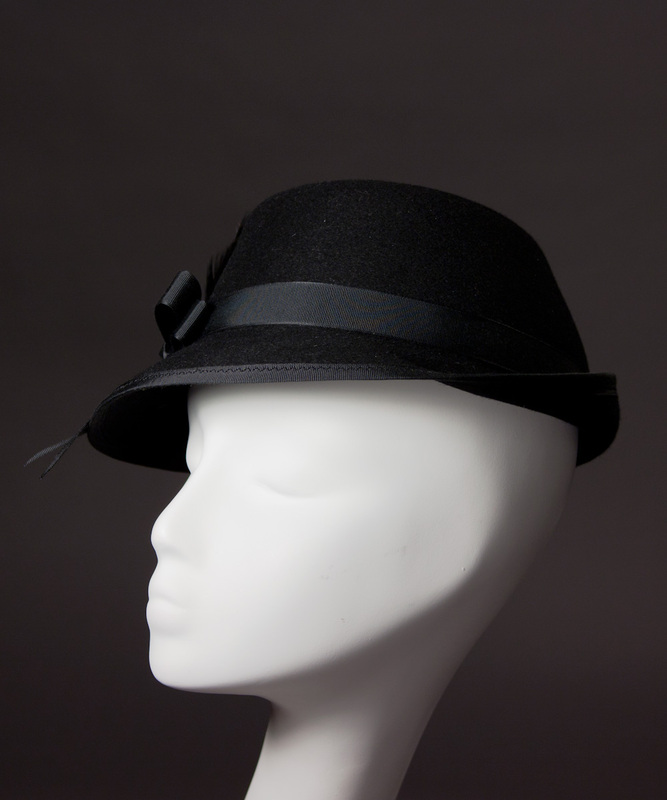 In addition to all the fancy frippery I've been concocting lately, I've created a few more casual ladies styles for everyday wear. 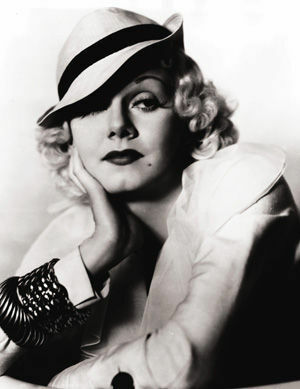 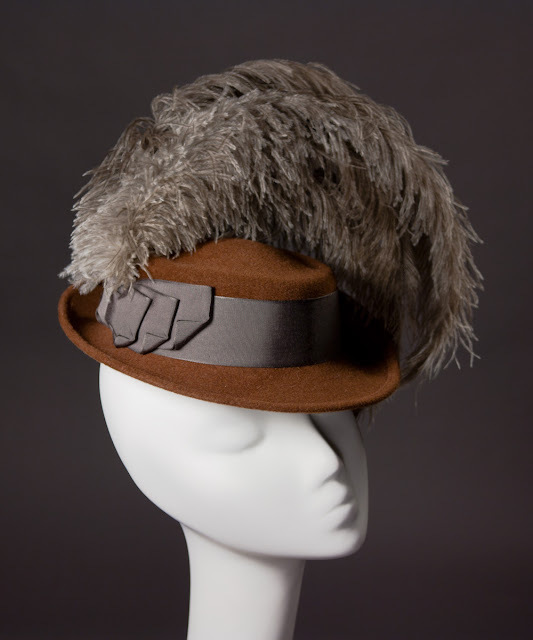 These were all inspired by 'sport' hats popular in the 1930s and 1940s, and famously worn with flair by Golden Age Hollywood starlets. 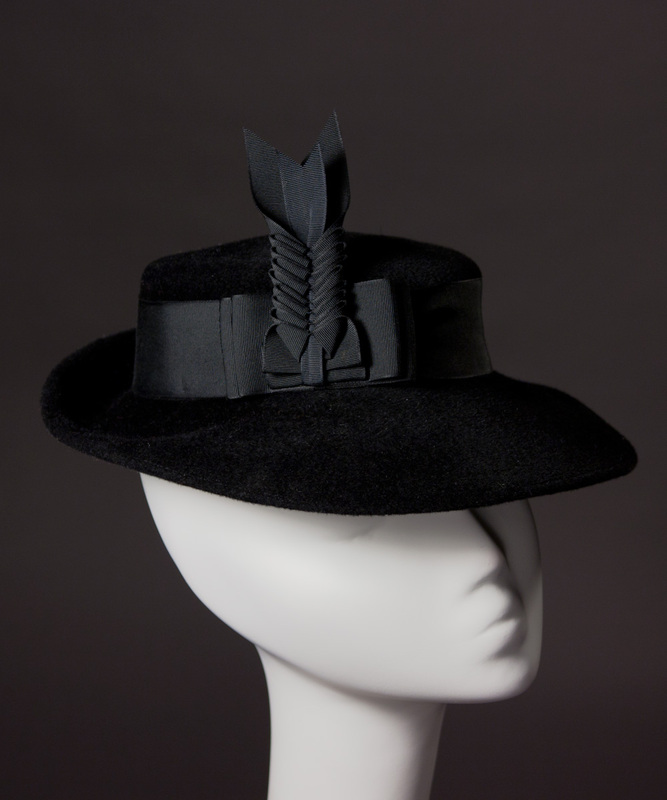 I made them using rare, hand-carved antique blocks from my collection. 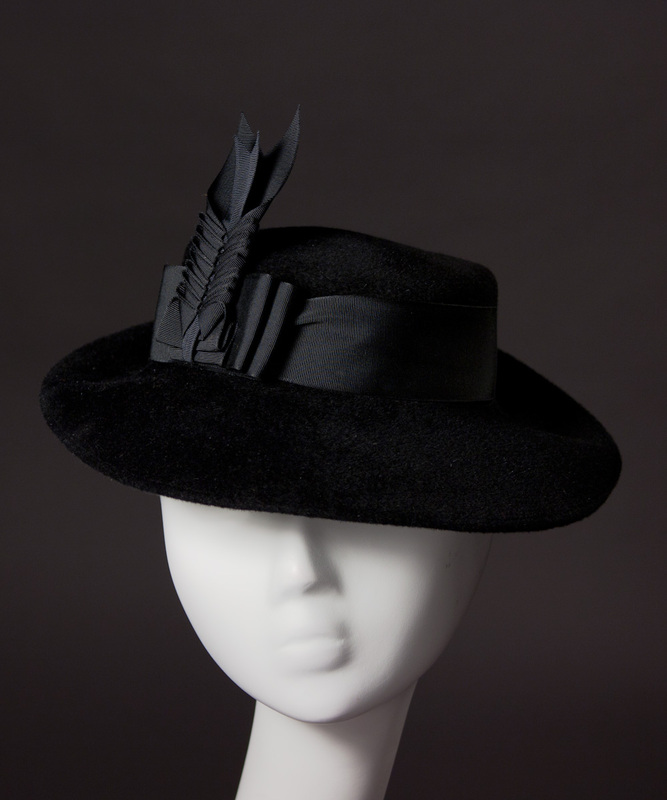 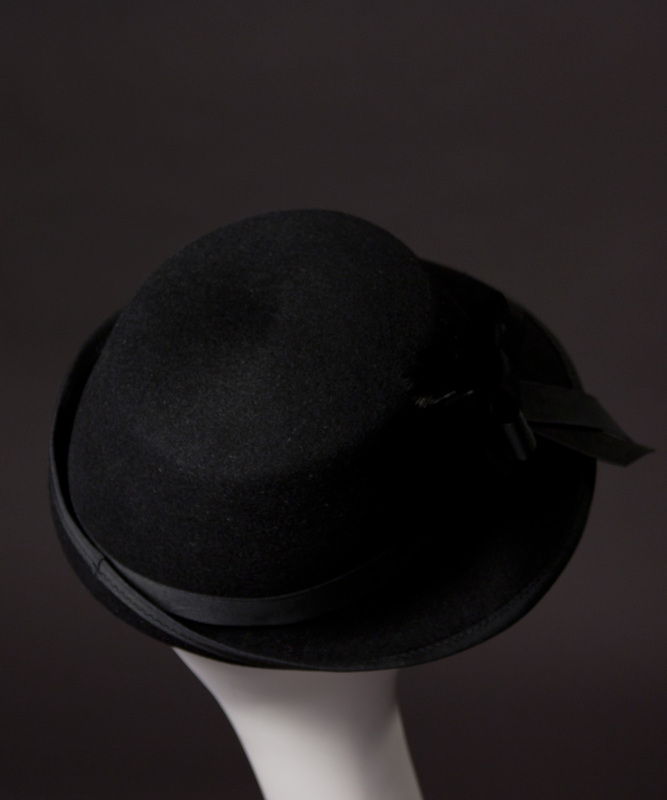 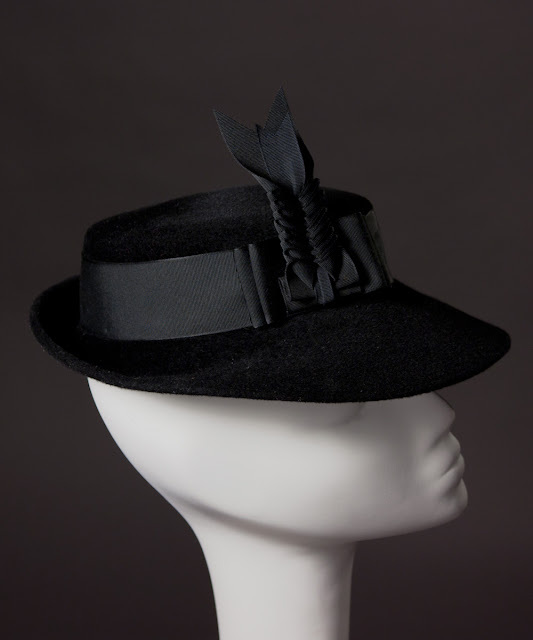 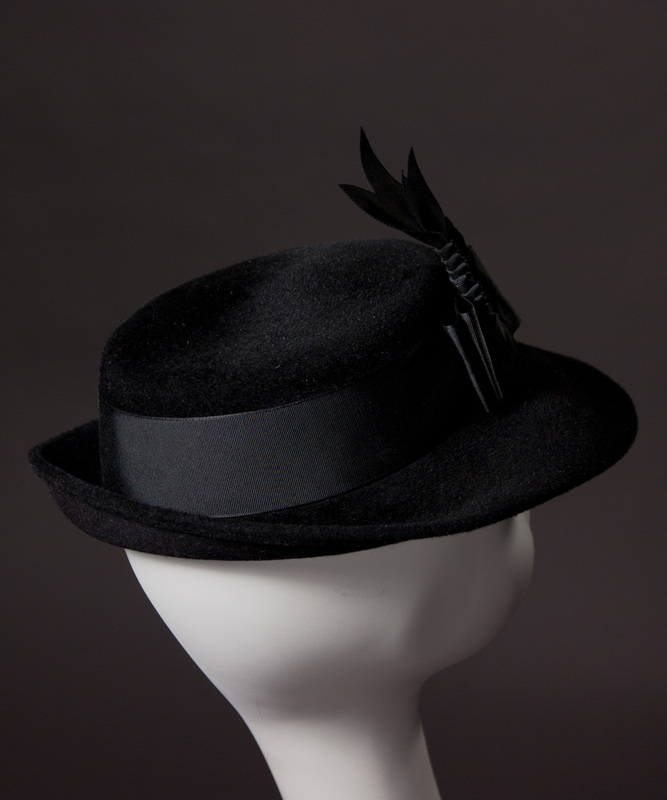 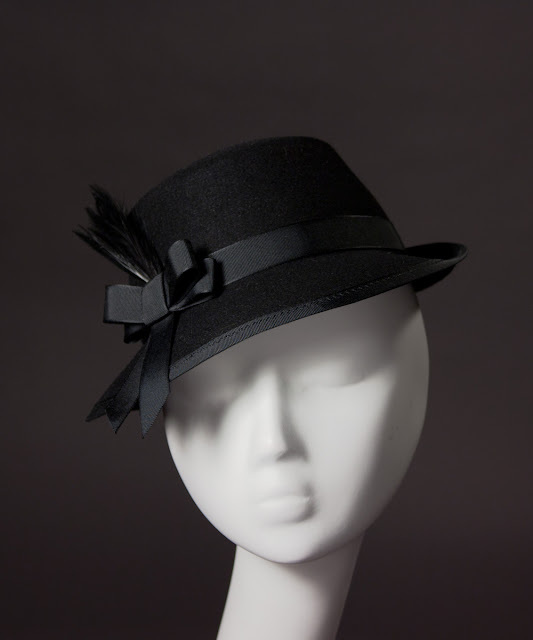 The 'Bergman', shown here in black velvety velour-finish fur felt, is shaped something like a soft, feminine fedora or porkpie. 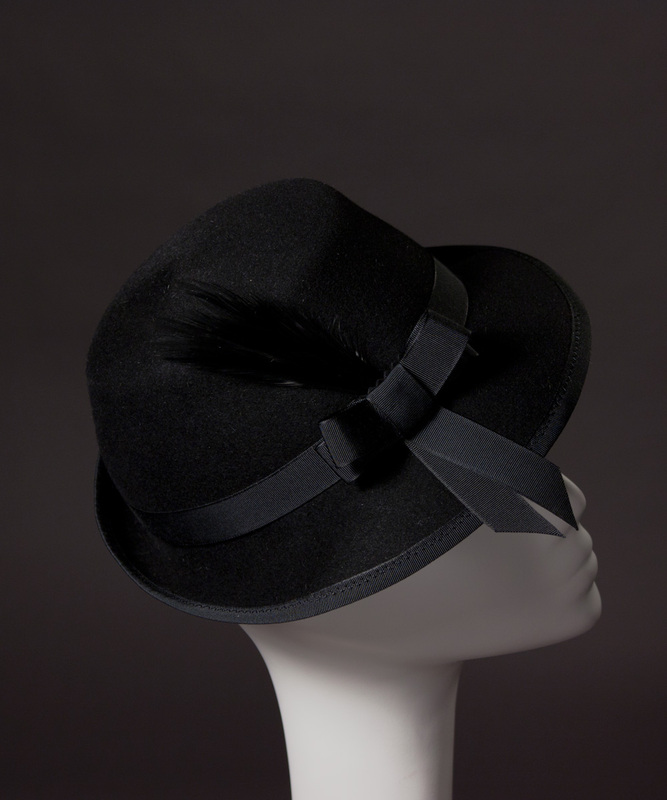 The brim is wide enough to offer sun protection, but the lush material and fancy ribbonwork make it glamorous enough to wear day or night. 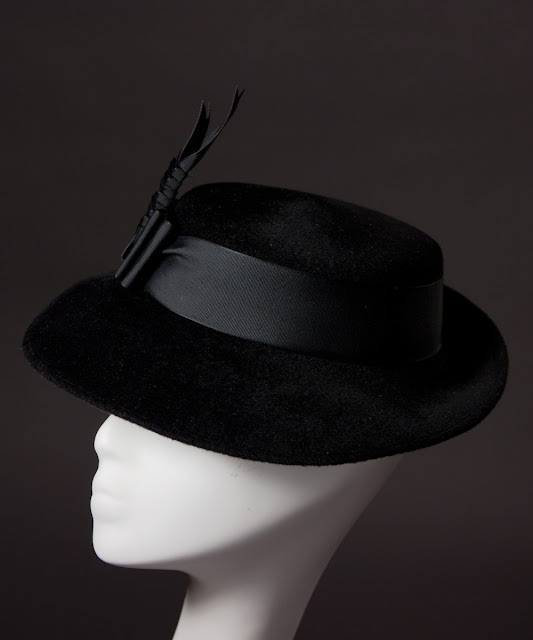 I rarely leave the house without a hat on and the 'Alex' is one of my all-time go-to favorites. 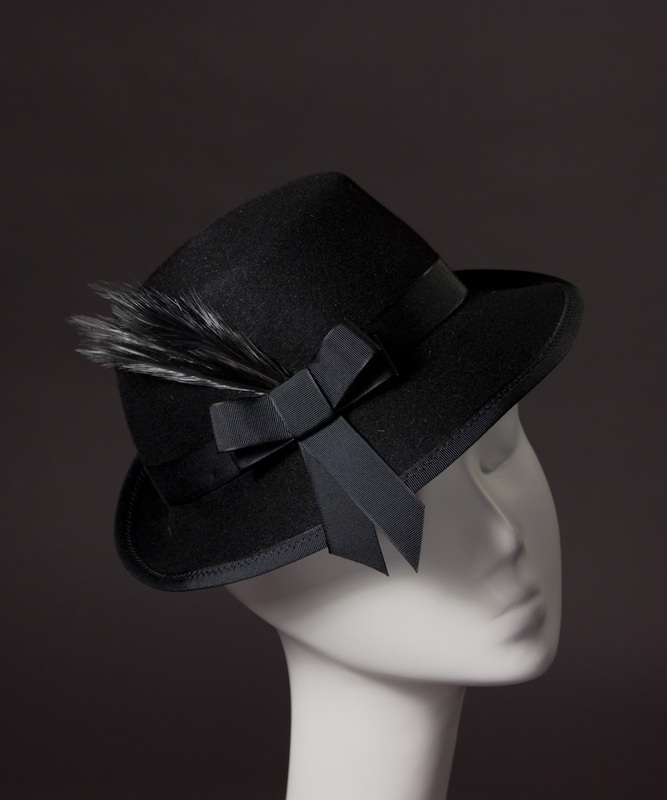 I've made it in a number of different versions during the last few years, but this one, in polished fur felt with a small bow and spray of feathers, feels just right. Simple, comfortable and easy to wear, but distinctive. 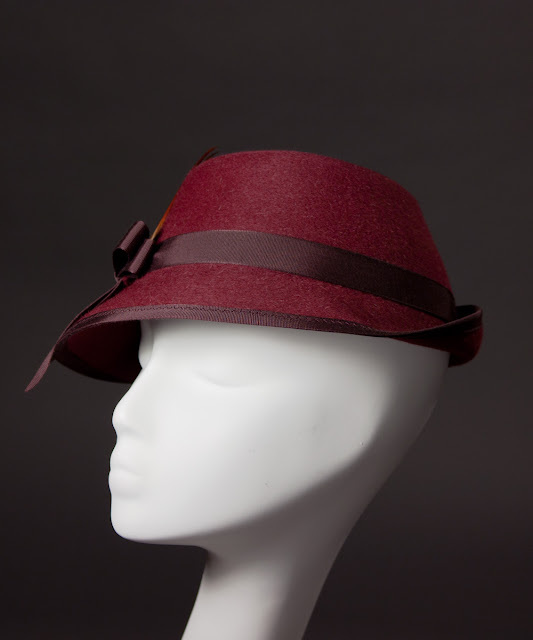 The 'Jean' is from my midi range (more than a mini, a little smaller than full size). 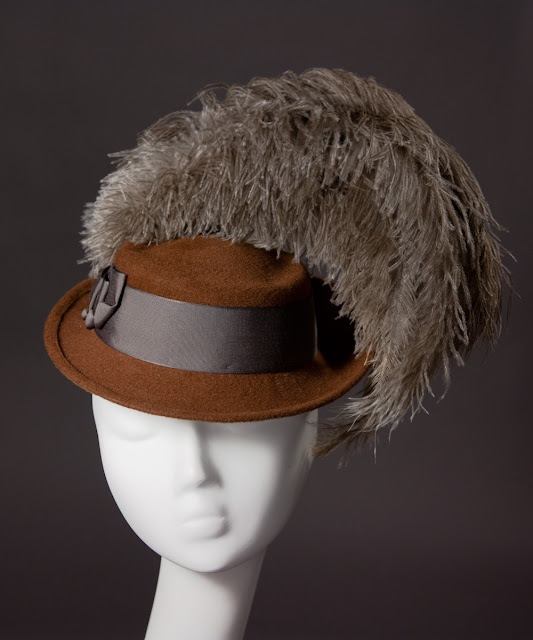 I couldn't resist giving this petite, soft porkpie a bit of extra glamour by adding a big spray of silky ostrich feathers, but the feathers can be easily removed from the trim for a less frothy look. 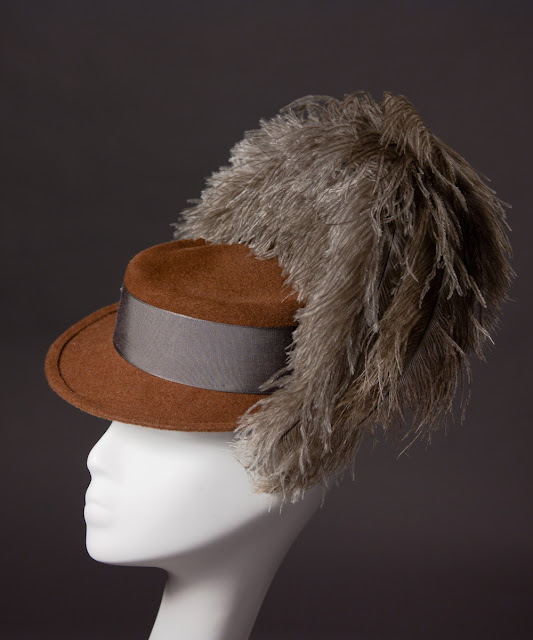 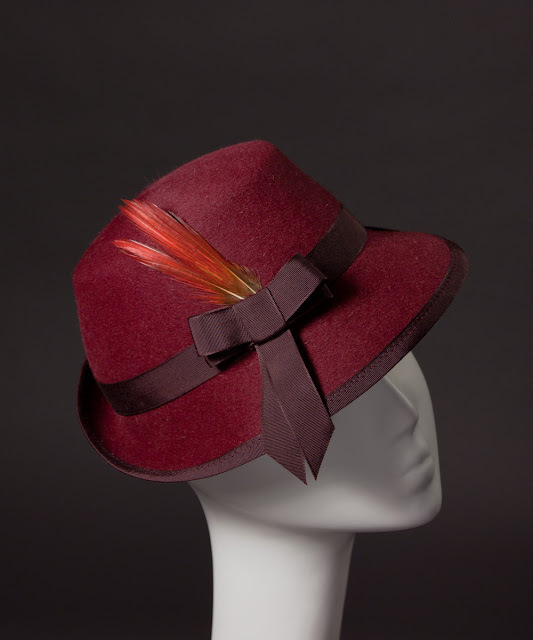 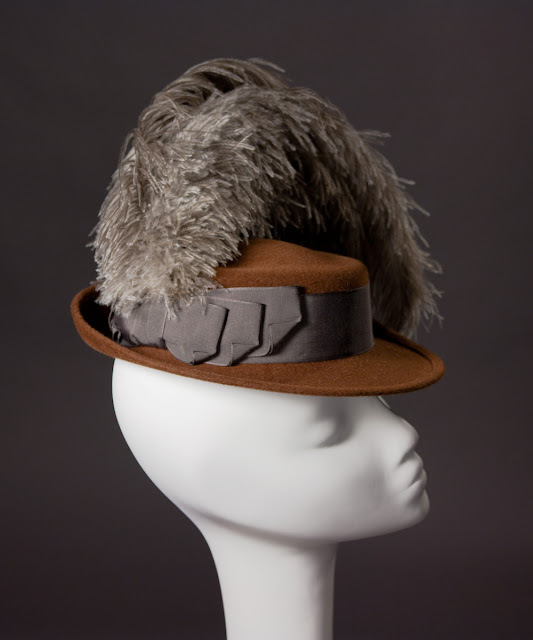 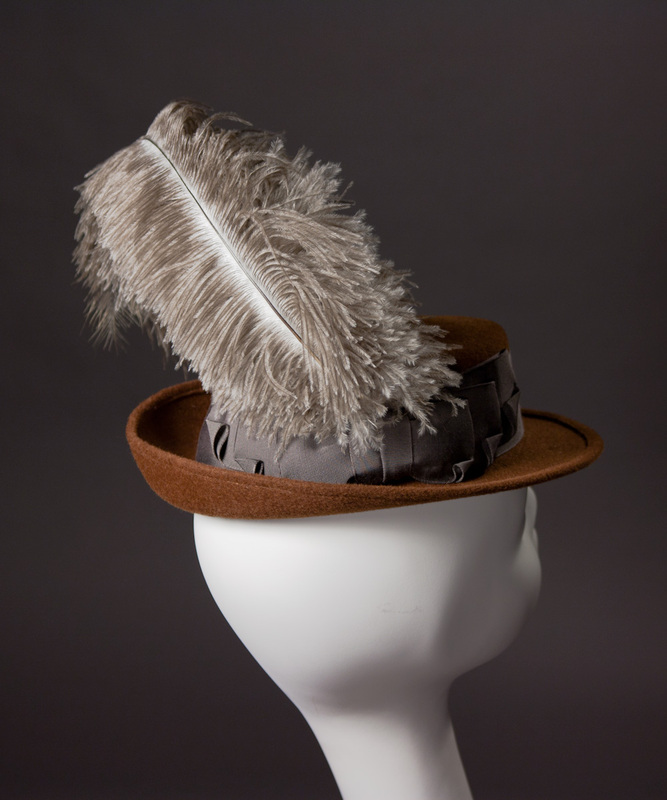 This one was made in a warm medium brown velvety velour fur felt with steel gray ribbon and feathers. 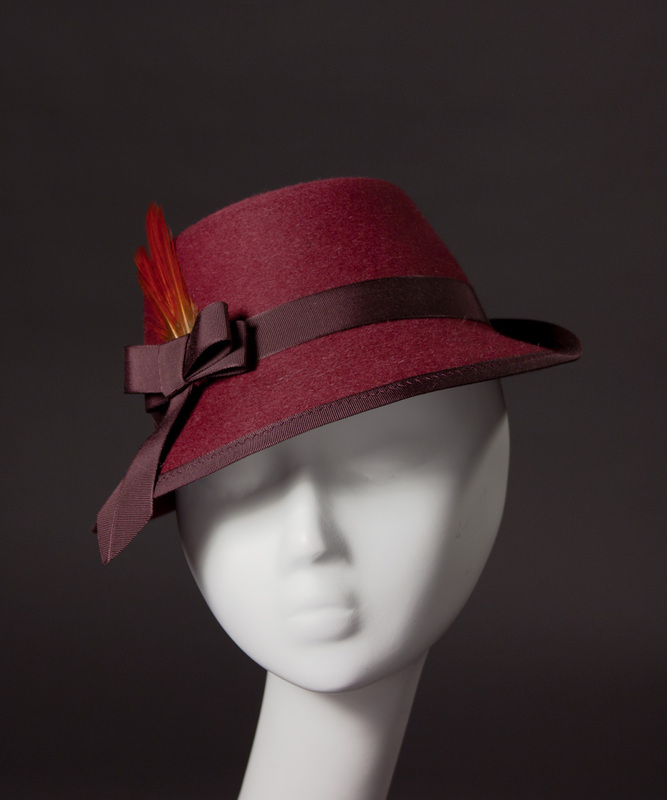 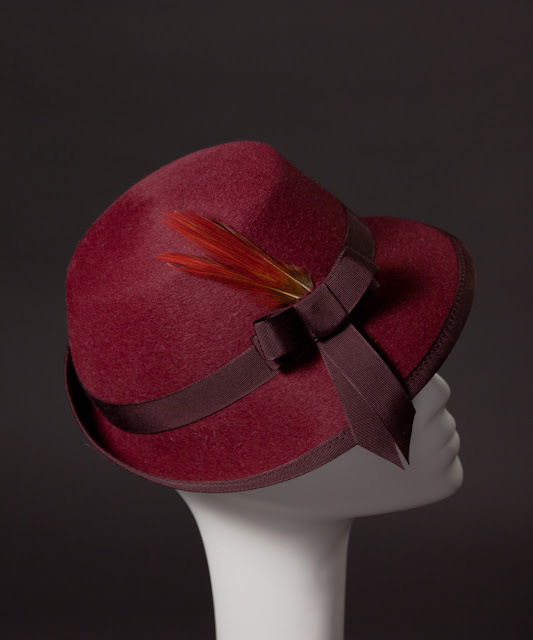 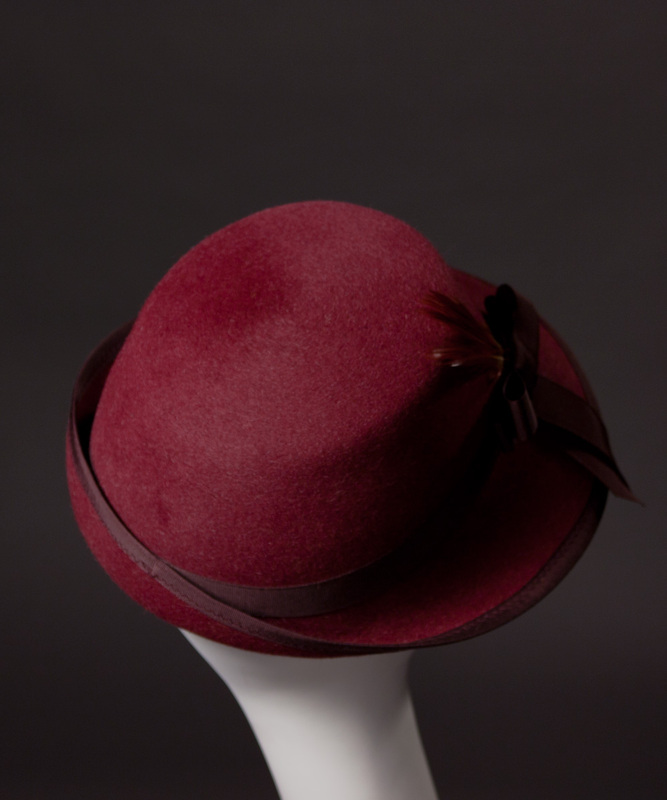 All of these hats perch slightly forward on the head at a jaunty angle and can be worn by a range of sizes. They are all now listed in my Etsy shop, but as usual, any of these hats could be made in any number of other color combinations upon request. Interested in a custom color? 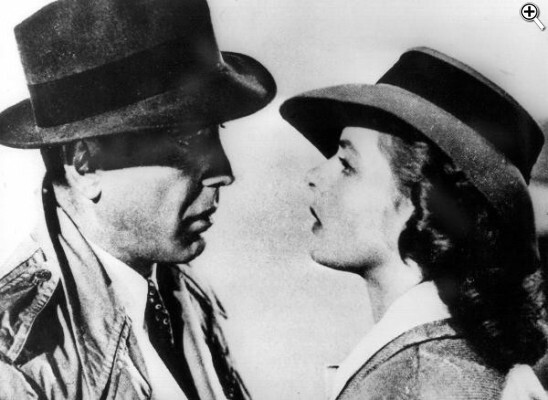 Just ask.